If you read about fine wine for more than a few minutes, you will run into the word “terroir”. Too often terroir is italicized either in print or verbally – I see some people make finger quotation marks each time they say terroir. One comment often made about terroir is that it is “an untranslatable French word that means blah, blah blah …”. Wine-writer and sometime l’Ecole du Vin de Bordeaux lecturer Dewey Markham translates terroir into English as “terrain”. He’s not wrong but he is over-simplifying a bit; whole books have been written about terroir. I would propose that, at least for wine lovers, terroir has – through assimilation – become a word in English with the same meaning it has in French. Terroir (pronounced tear whar) takes in the whole combination of soil, exposure, climate and microclimate, viticultural practice, and situation or “happenstance of location” that gives a wine its possibly unique particularity of place. Great terroir comes through in great wine. 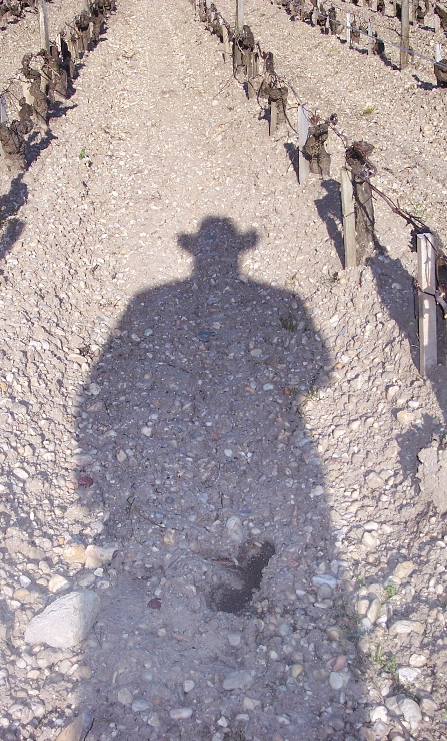 It is possible to make bad wine from great terroir but not the reverse. While terroir usually refers to the place, terroir also can denote that unique character of place found in the aromas and flavor of a wine. A wine from a single-site or a contiguous vineyard is more likely to reflect its terroir than a wine blended from multiple disparate sites. Each of the following elements inter-relate with the others to create the terroir both in the sense of growing conditions and in the sense of flavor, of a particular wine or place. Viticulture is the practice of grape growing. As a practical matter, a viticulturalist is grape grower (sometimes called a wine grower or, in French, a vigneron – which is another useful term we should assimilate into English). In most wine writing, viticulture refers to the science (and art) of grape growing in a more academic way than would be applied to the everyday farmer. Hence, someone called a viticulturalist is more likely to be a head of farming operations for a company or an outside consultant who advises the farmer or vigneron on anything from trellising to treatments as they relate to growing wine grapes. Viticulture encompasses all the farming practice in play in a particular area or vineyards or block. It includes the decision to farm conventionally, sustainably, organically, or biodynamically. It includes trellising and irrigation, and drainage decisions. It includes decisions about treatments and supplements and fertilizers and cover crops and even whether to use horses or tractors to plow. Viticulture, as it is broadly practiced in an area over a long period of time, is a key component of the area’s terroir. Exposure refers to the orientation of the vineyard both to the sun and to weather patterns or other climate influences. An east-facing vineyard on a steep slope will be shaded in the afternoon but a south-facing vineyard on a steep slope will get sun all day. A vineyrd with a high ridge to the west may be shielded from weather coming in from the west. A vineyard on a slope may garner some frost protection as heavier cold air rolls down hill. Situation refers to the physical site or “happenstance of location” that gives a wine from a single site its uniqueness. Part of this is exposure but part might include proximity to a river or pond that provides more water or a cooling or temperature moderation effect. Situation might have to so with a billboard or building that shades the vines for part of the day. Situation would include a natural occurrence like being on the flight path for certain birds which may feast on ripe grapes. Climate is the average local weather as observed over a long period of time. Many microclimates will make up the average climate of the area. A microclimate is a very local area where the climate may differ (slightly or not so slightly) from the surrounding area. Microclimates may exist because of a nearby lake, gulf, or river which may cool the local atmosphere, or because – as in Chateauneuf du Pape – a heavy concentration of stones on the surface absorb heat duing the day and radiate it at night which keeps the vines (and grapes) warmer. Slope can be an aspect of microclimate: south-facing slopes in the Northern Hemisphere and north-facing slopes in the Southern Hemisphere are exposed to more direct sunlight than opposite slopes and are therefore warmer for longer. Microclimates can be used to the advantage of vignerons to help choose which grape varieties (varietals) to plant in which part of a vineyard. The right microclimate can ripen grapes in one particular spot in an area that could not normally ripen the same variety. A key component of terroir is the soil and what is beneath it. The vine is influenced by each layer both in terms of the layer’s mineral and organic content and by its physical properties including depth, density, temperature, and water holding capacity (water drains through sand and gravel but is held by clay). Topsoil is the top layer of dirt where most organic activity takes place. Insect and microbial activity breaks down dead organic matter into humus. Most of the organic matter needed by the vine comes from the topsoil. Subsoil is a mix of minerals and some humus near the top. Compared to the topsoil, subsoil is lower in organic matter. This is the layer where most of the soil’s nutrients are found. In non irrigated vineyards, vine roots come to and pass through the subsoil looking for water. Below the subsoil, comes the weathered parent material from which the rest of the soils are typically formed. This could be broken limestone and limestone clay on top of solid limestone. Here the only biological activity is plant roots reaching down for water. This layer is full of minerals. Physical weathering breaks the parent material up into small pieces. This layer may contain rock particles that are different from the bedrock it sits on. Alluvial action brings in and mixes rock and other elements from other areas into this layer . At the bottom is bedrock. Bedrock generally produces much of the soil above it. There is virtually no biological activity in the bedrock but grape vine roots will fine cracks and seek downward through bedrock looking for water. You might think that the “place” of the vineyard finds its way into the grapes through the root system and the vine itself. If so, you’d be in agreement with most wine enthusiats from twenty years ago … but you’d also be wrong. Plant biologists and physiologists have concluded that the vine offers no mechanism for terroir to enter the fine. So how does terroir get from the vineyard into the wine? As it turns out, via the micropes that live in and around the vineyard. Microbes? Yes, the yeasts, bacteria, fungi, and more that are present on and around the grapes. When the grapes are harvested and brought into the winery, the microbes come with them. When this population is healthy, the flavor of the place is trasmited to the wine as it ferments and ages. These microbes bring the dusty gravel taste to Pauillac and the mushroomy earth component to Chassagne. But this only happens in vineyards with healthy soils that provide a good environment for a robust microbial population. Commercial farming that utilizes chemical herbicides and pesticides and fungicides results in soils devoid of beneficial microbial activity and leads to simpler, commercial tasting wines. What sort of farming gives the desired result of a healthy microbial population? Sustainable (with no chemical inputs) is better but organic and biodynamic are best. Although yields may be lower with some natural pest issues and no chemical fertilizer, the resulting fruit often has more flavor and requires less manipulation in the wine making process. And the vineyard (which includes the soil and the inter row cover crops and the vines themselves) are healthier and able to support the critters (microbes) that make the difference between good wine and great wine. So maybe the most important part of terroir is the native microbial population and the most important reason to embrace organics and biodynamics is to retain the character that the microbial mix brings to the finished wine. This entry was posted in Bear Dalton, Bordeaux, Geek Speak, What I'm Thinking, Wine Tech, Wine Words and tagged Bear Dalton, Terroir, the mechanism of Terroir. Bookmark the permalink. Love the Texas size shadow! Great doc on Terroir?